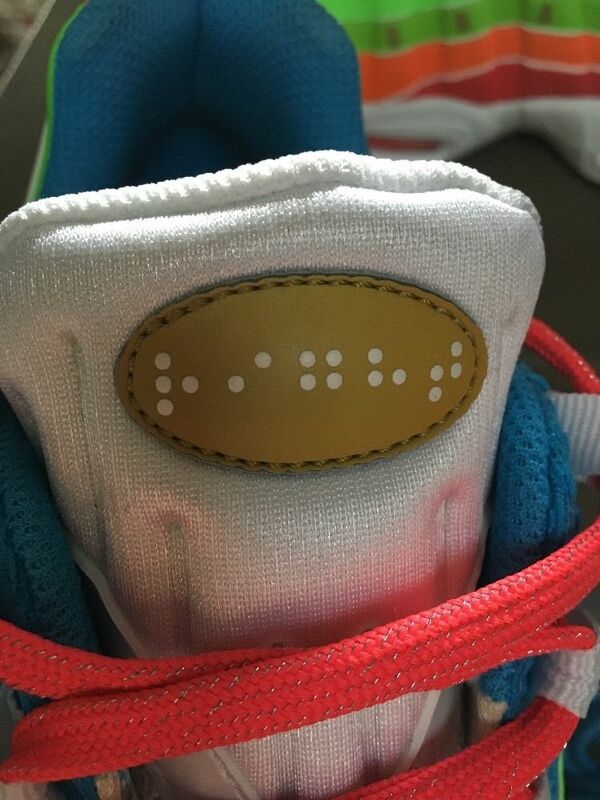 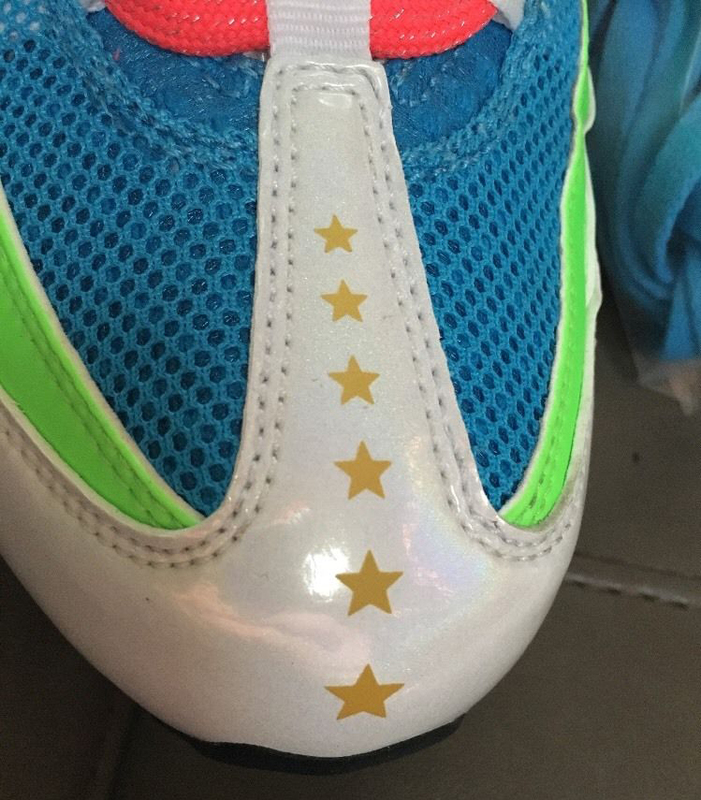 A rare Doernbecher Nike sample surfaces on eBay. 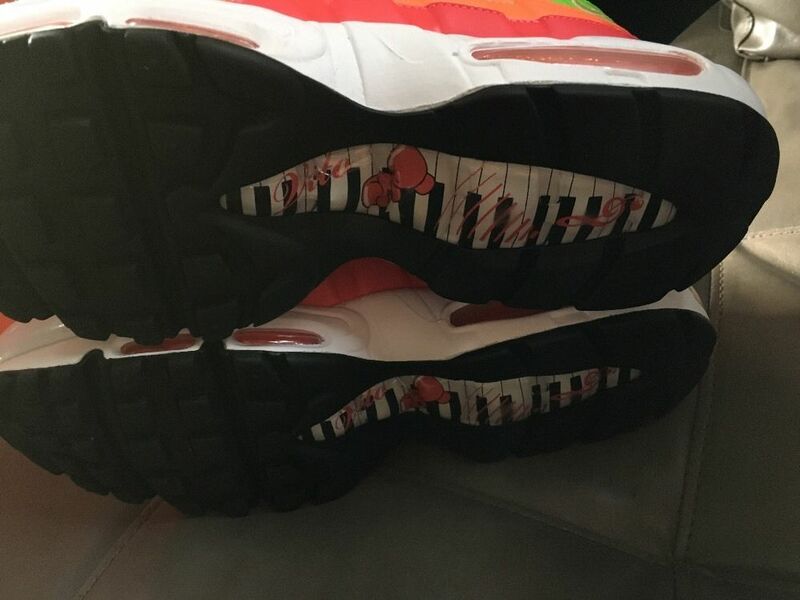 Remember 2011's "Doernbecher" Nike Air Max 95 that was part of Nike's annual series of shoes benefiting the Doernbecher Children's Hospital? 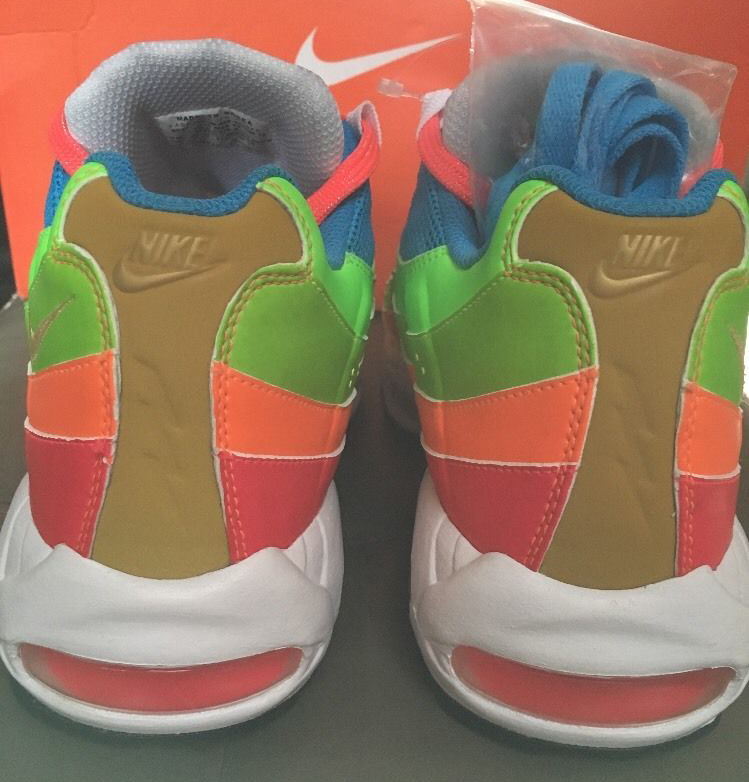 It turns out the shoe was almost a much more colorful affair. 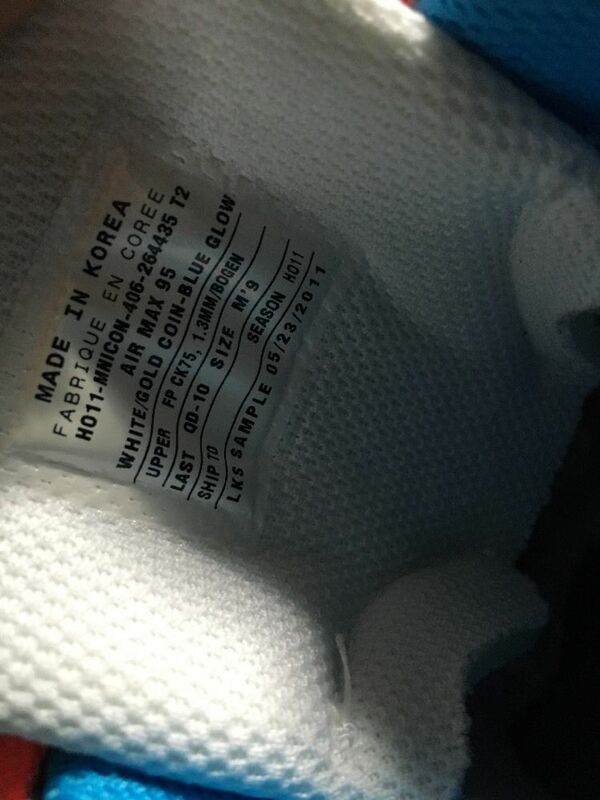 On display here is an alternate version of the design that surfaced on eBay. 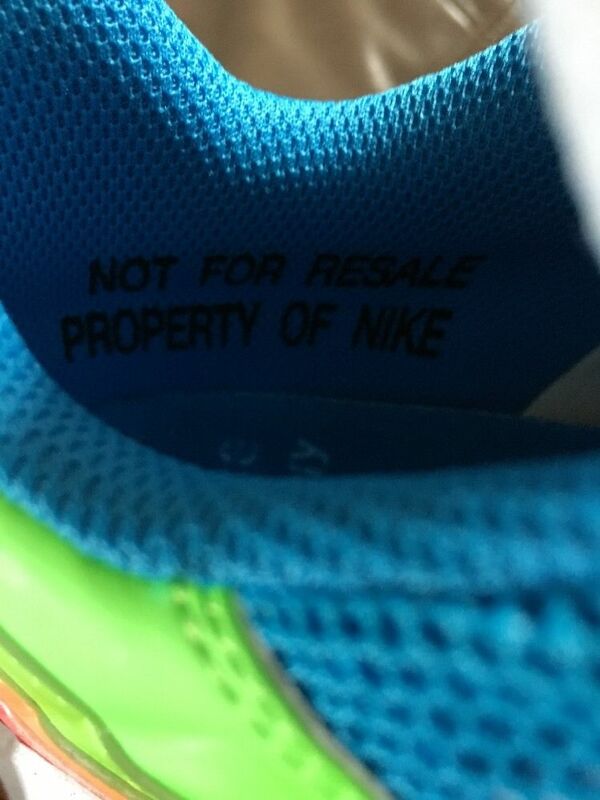 The seller claims it's a one-of-one and includes a look at the "Not for resale property of Nike" text on the lining to prove it. 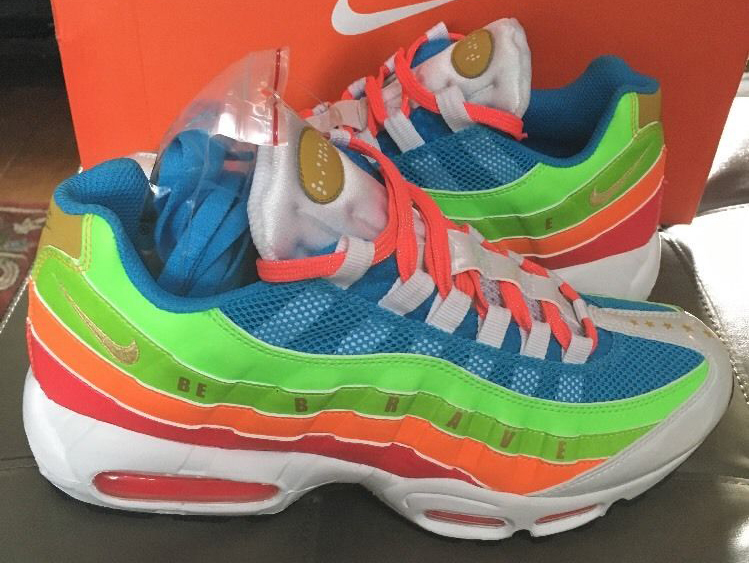 As the sneaker is so rare, it's fetching a price way higher than the retail Doernbecher x Nike Air Max 95. 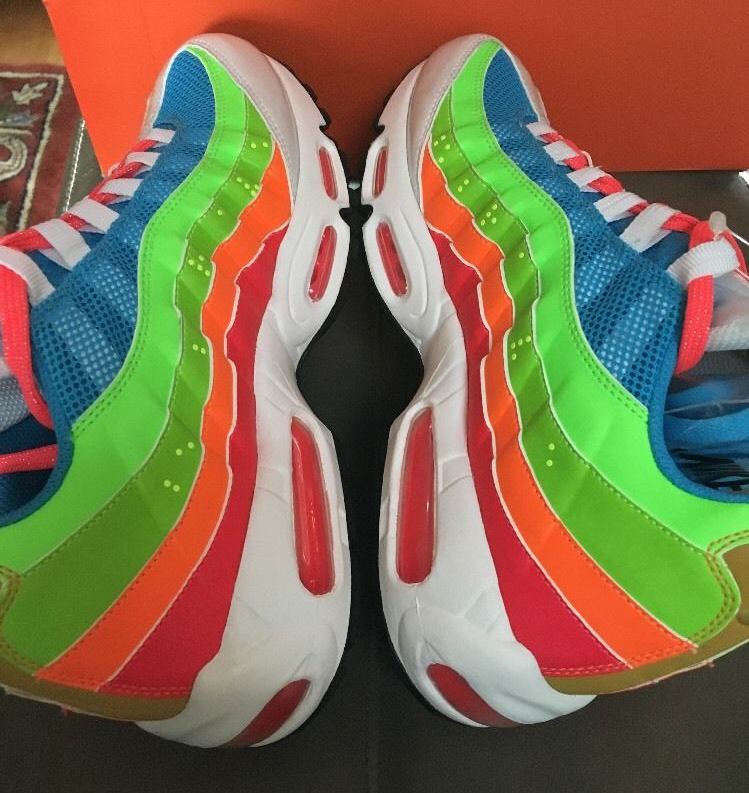 The seller in this auction is asking for $3,000 for this Doernbecher x Nike Air Max 95 here.